I wanted to draw since I was a little girl; since the first time I saw my best friend draw a coyote that came alive straight off the page, since I took my first watercolor class in college, since the first painting book I ever bought. But all my listless art attempts went nowhere, even when I painted something “good enough” to hang on my wall. Then, I found Hannah Hinchman’s ‘A Life in Hand’, and A Trail through the Leaves’. And just like that, my artistic yearning had a crystal clear direction. And then I discovered ‘Every Day Matters’, and ‘The Creative License’. These jewels breathed life into my journals. 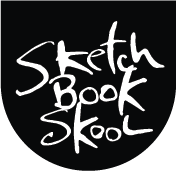 I still paint and draw alone in my far-removed, remote and isolated world, but I have many wonderful books now, and I follow a lively and robust worldwide community of sketchers and journal keepers. Danny, you are at the nucleus of that world and catalyst of that experience for many of us. Here are a couple of illustrated journals you may already have, if not they are wonderful. Teresa Jordan’s, ‘Field Notes from Yosemite’ and ‘Field Notes from the Grand Canyon’.